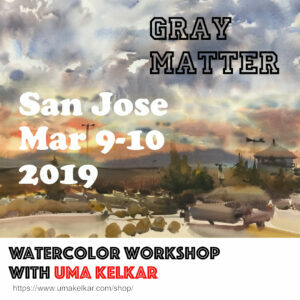 Gray Matters: How to use two washes in two complementary colors harmonized with gray to generate quick and evocative paintings – is a mouthful title. What it wants to convey is that most paintings can be painted using a flow method of watercolors, top to bottom, like a wash. Two complementary colors are then used to achieve maximum color contrast, harmonized by using gray. The class will emphasize wet in wet painting, loose capture of scene and abstraction of parts of a painting. Come with an attitude to challenge yourself and to practice hard. There will be time to brush up technical skills, especially the art of looking as well as time to see many examples of using same technique while painting varied scenes. 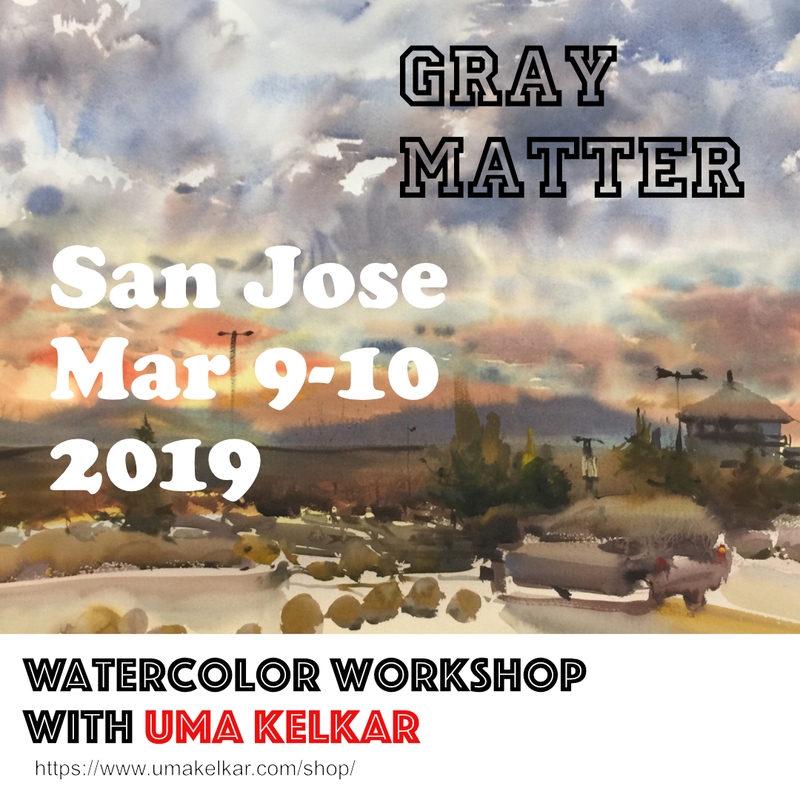 This is an extended version of workshop Uma taught at Chicago Seminar and at USK Symposium in Portugal.